Using little or no oil, this innovative Homgeek Air Fryer adopts modern technology to baking, roasting and grilling your favorite foods from crispy potato, French fries, onion rings to BBQ satay, steaks, Pizzas, and cakes. 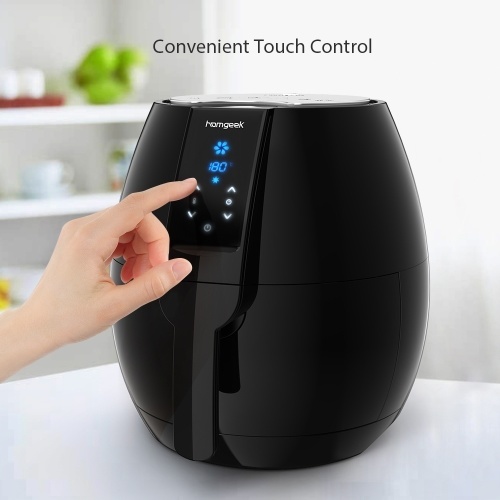 This air fryer features easily touch control, non-slip feet, slide-out frying basket & pan, digital LCD panel with touch control, 3.5L frying basket capacity, 4.0L nonstick pan, safety auto power off, auto timer setting up to 30 min., adjustable temperature up to 200℃, rapid air circulation for even cooking, double overheat protection, etc. Really a stylish and functional air fryer to make a delicious meal by yourself, surely you cannot miss this! Galvanized Steel Sheet Inner Supporting Base Plate: more resistant to high temperatures, not easily deformed, easy for cleaning and maintenance. 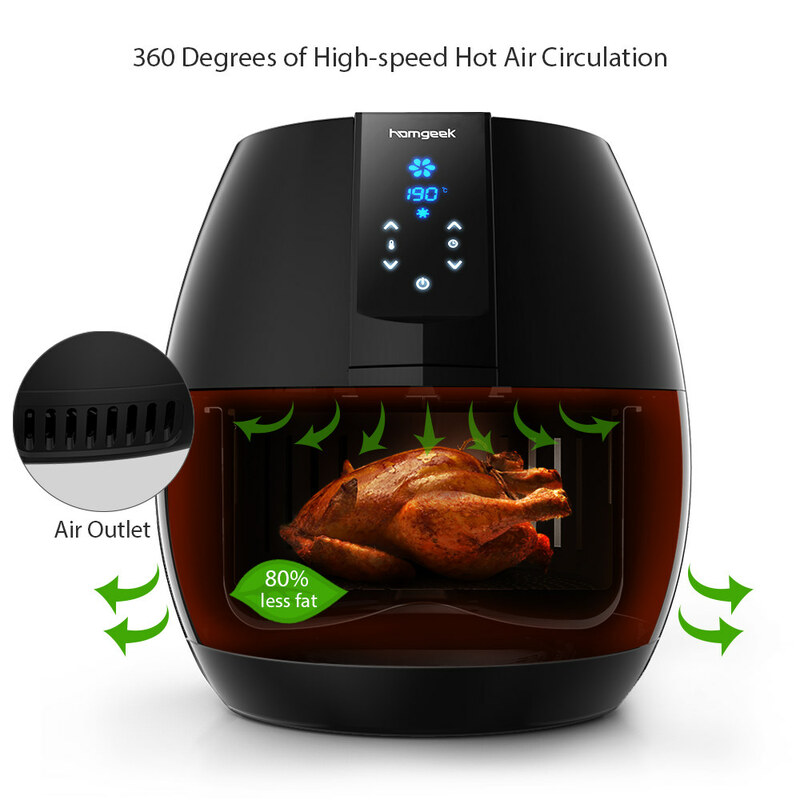 30-minute, Built-in Timer: the air fryer will shut off automatically at the preset time. 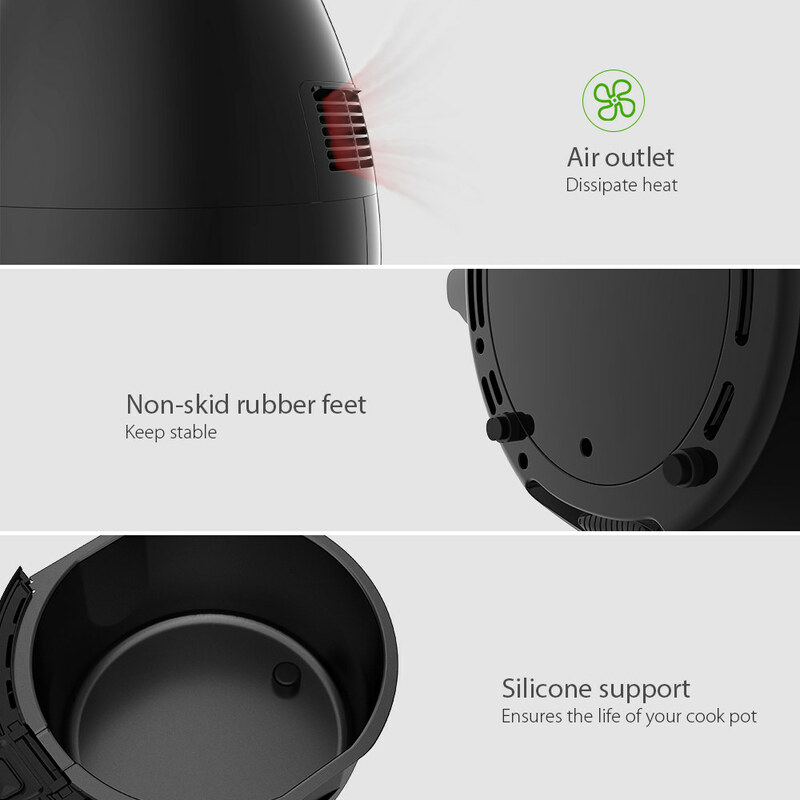 Double Over-heat Protection: when the temperature reaches to the set point or the pan is pulled out, the appliance will stop heating. Easy to Clean: removable fryer basket and pan are dishwasher safe, making cleanup convenient. Durable Nonstick Protective Coating: wear-resisting and withstand high temperatures, not easy shed off and for easy cleanup. 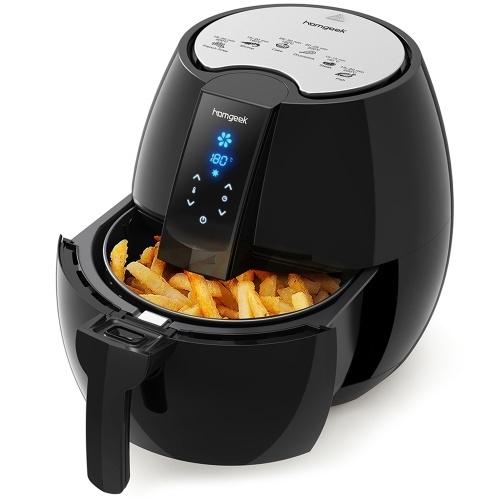 Non-slip Bottom: air fryer stands stable on desktop. Temperature Control: easily touch control to adjust temperature from 80℃ to 200℃. 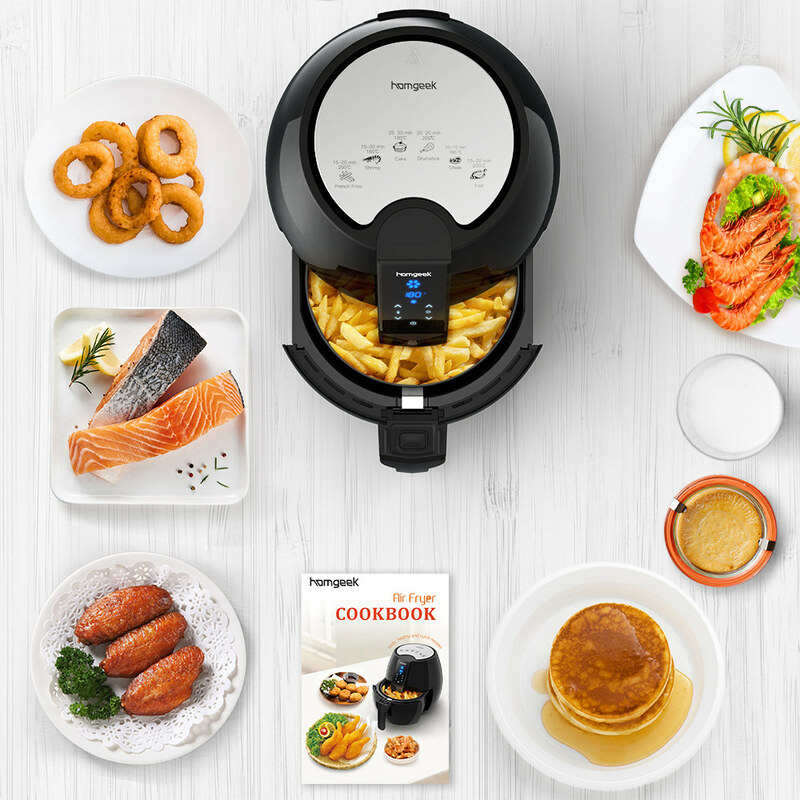 Comes with a Cookbook and a User Manual: up to 28 recipes for your reference. 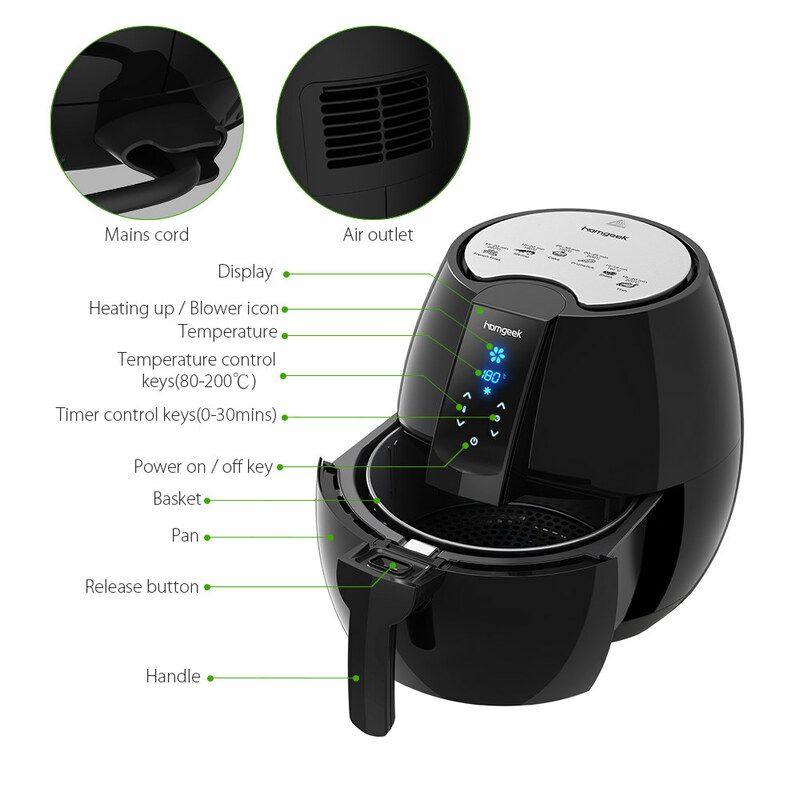 Material Safety Air Fryer: 3.5L food basket and 4.0L pan with LFGB & FDA certificates. 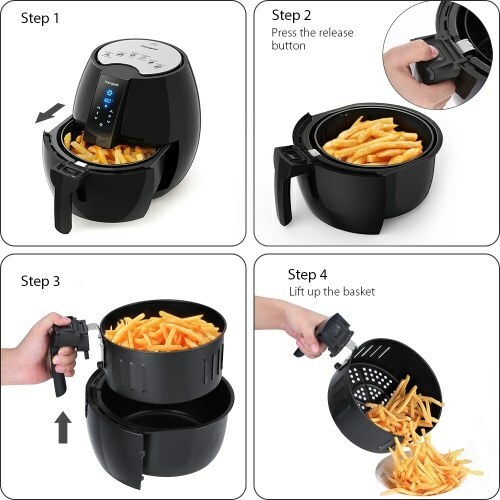 Healthy Diet: healthy way for fry without/with little oil, low fat, low calories. 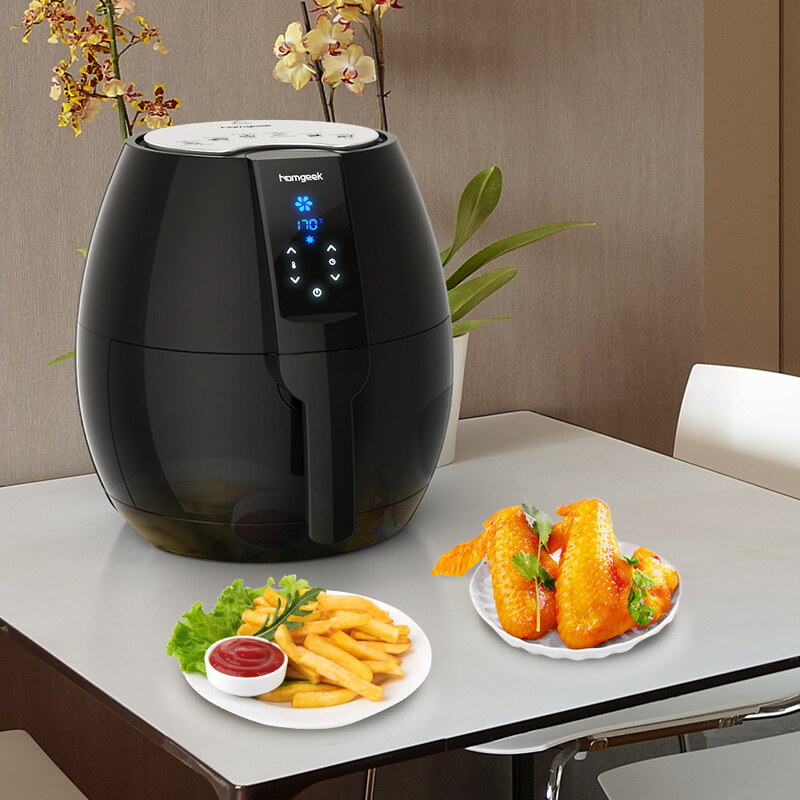 Cooking temperature and time of 6 common ingredients are printed on the top cover of the air fryer for your reference. 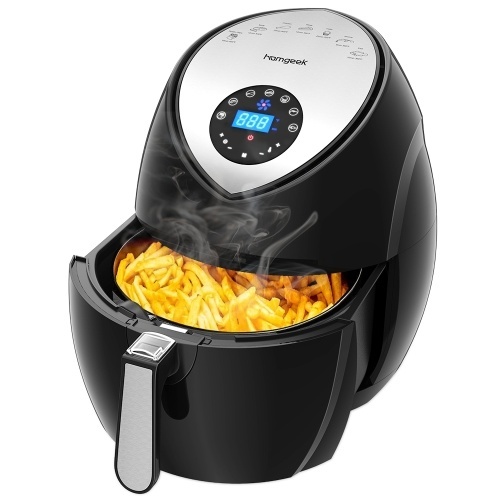 Essential household electrical appliances for someone who loves cooking by yourself.